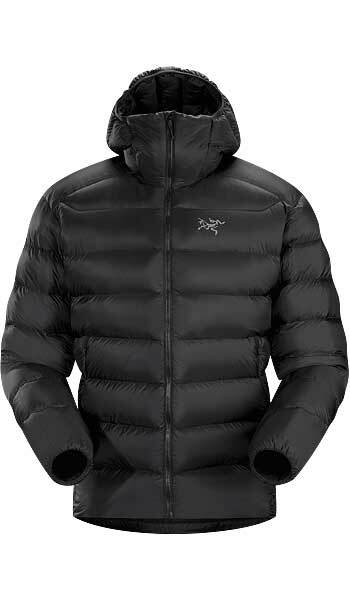 The warmest piece in the Cerium hoody collection functions primarily as a warm mid layer. Down Composite Mapping strategically places coreloft synthetic insulation in areas where moisture may buildup, down in the core and the hood gives maximum warmth. As an alternative to down fill insulation, we also offer synthetic fill products, such as the Atom AR Hoody.